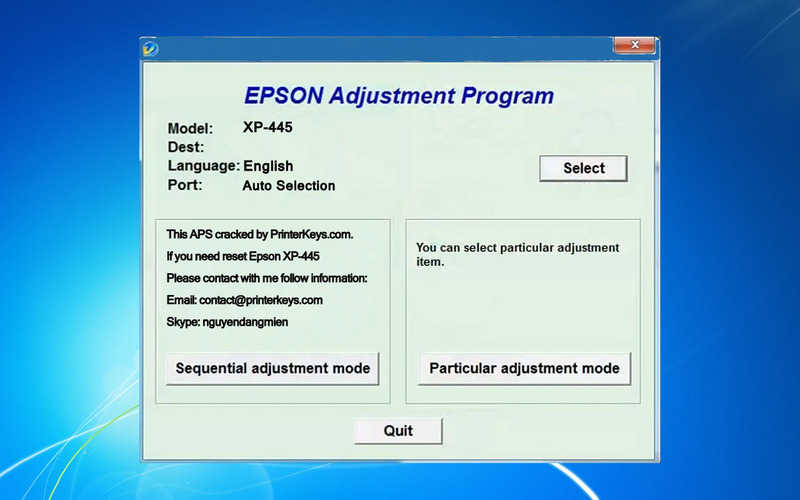 – Epson XP-445 AdjProg or Epson XP-445 Adjustment Program or Epson XP-445 Adj Program, is a middleware developed by third-party software to supply for Epson XP-445 printer, making printer continuous printing without error. 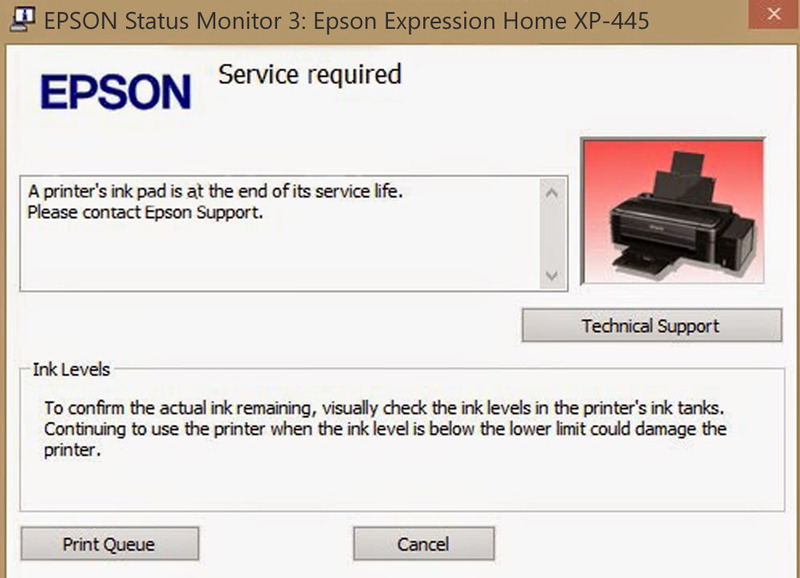 – Epson XP-445 Printer does not printing. 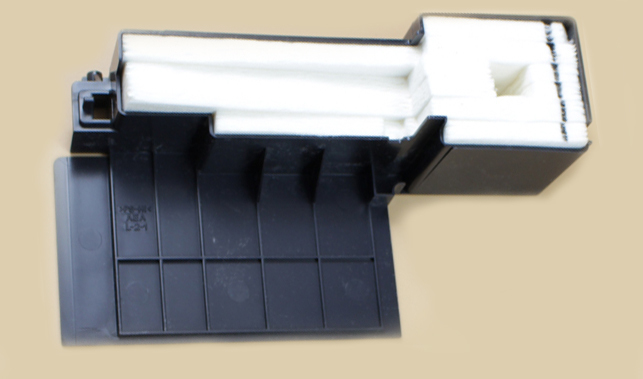 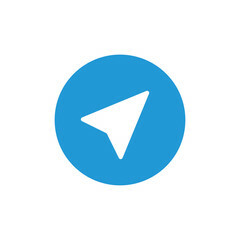 – Once the amount of waste ink reaches the predefined limit, the printer indicates “Service Required” and the waste ink pad should be replaced or reset waste ink counter value stored in EEPROM on the Mainboard (or Logic Board) of the printer by Epson XP-445 Adjustment Program.